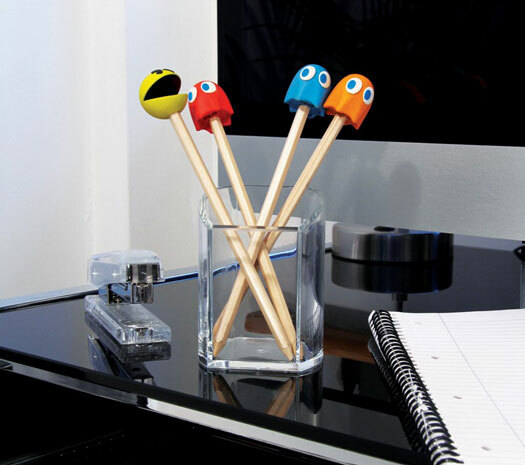 Cute and practical, these PAC-MAN Pencil Toppers are a fun addition to any pencil case or stationery holder. 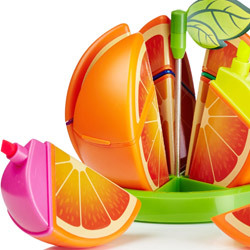 They are a cool back to school gift or a great stocking filler present for Christmas. 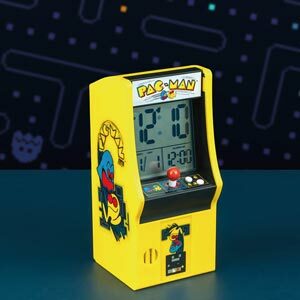 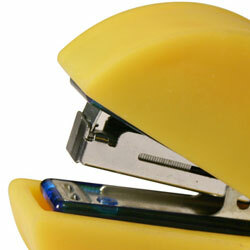 The PAC-MAN Pencil Topper set contains four pencil toppers which also function as erasers. 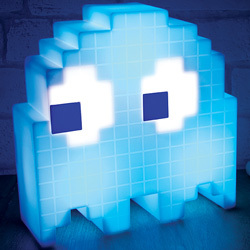 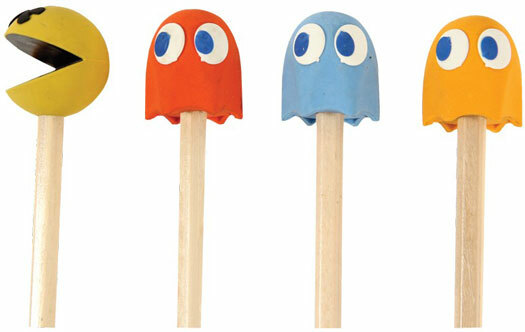 The pencil toppers feature PAC-MAN himself and three of the four ghosts which feature in the classic video game Blinky (red ghost), Inky (blue ghost) and Clyde (orange ghost). 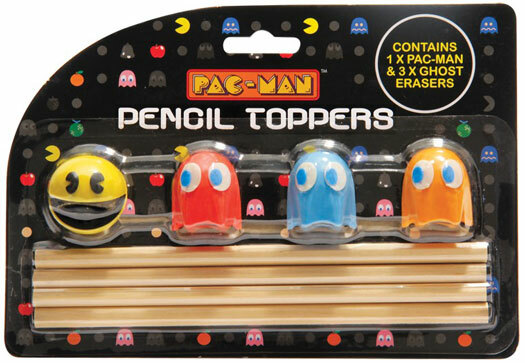 Just in case you do not have enough pencils for them all, the PAC-MAN Pencil Topper set also contains four pencils so you can start using the pencil toppers straight away.